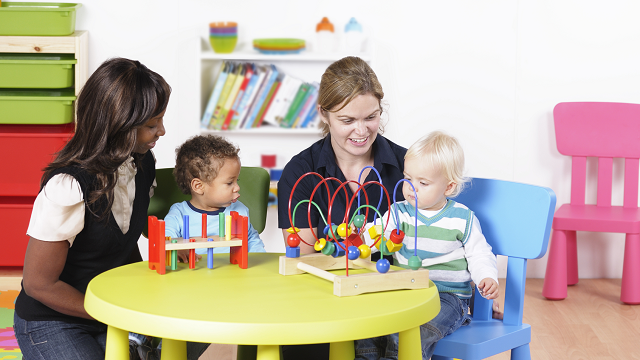 Find local childcare, children's centres and free early education places. If you have not been offered a place at one of your preferred schools, you have the right to appeal. 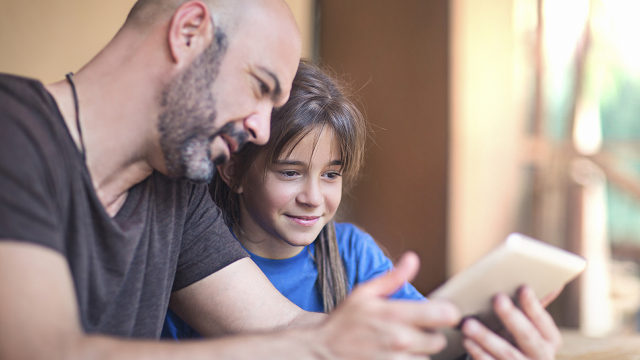 Find out more about home schooling for your child. Record numbers of pupils are finding out today which secondary school they will go to later this year in Rotherham. Pompoms, sequins and sticky back plastic aren’t your typical engineering tools. The new £10.5 million University Centre Rotherham (UCR) has opened its doors to students and adult learners for the first time today (Monday 24 September). Rotherham Council’s partnership with Wates Residential North to build 217 homes has resulted in employment opportunities for people in the borough. THOUSANDS of pupils are today celebrating after scooping great results across the borough for GCSEs. Hundreds of pupils across Rotherham have today scooped record A-Level results – as schools top last year’s performances. A number of new street names have been chosen by children living near one of the borough’s newest estates. School pupils in Rotherham have been treated to a World Cup themed walk-to-school event to encourage more pupils and parents to ditch the car and travel to school on foot. Rotherham Council is urging parents to remind children of the dangers of swimming in open water during national Drowning Prevention Week (June 15 – 25). The new Strategic Director of Children’s Services for Rotherham Council has been named as Jon Stonehouse. South Yorkshire Passenger Transport Executive (SYPTE) is urging schools, parents and carers to make sure their 11 to 16 year olds get a MegaTravel pass before the summer. A school that teaches young people with social, emotional and mental health needs has been rated as being “good” by inspectors. Thousands of children will be going to their preferred primary school in Rotherham from this September, new figures out today show. Council leaders are expected to agree to phase in updated Home to School transport arrangements over the next few months which will offer independence for users, and families better lifestyle choices. Thousands of pupils across Rotherham will be going to their preferred secondary school this September, with nearly all getting what they asked for. Rotherham Council contract partner Mears continues to provide training opportunities for people in the borough and recently celebrated the achievements of recent apprentice’s at their annual awards. Inspirational leadership was the driving factor in a Rotherham nursery scooping an outstanding rating in a recent inspection. School children are doing their bit to stamp out bullying with a special event for around one hundred pupils at Rotherham’s New York stadium today. Secretary of State and former Rotherham resident Justine Greening was today the guest of honour as she officially opened her former school in her home town. Pupils across Rotherham wore yellow today to show other young people that they’re not alone when it comes to their mental health as part of a new campaign launch. Music is something we all take for granted, to be able to listen to and enjoy. However, for some children, the love of music may be something they are never able to enjoy - because they are deaf. A new sponsor has been chosen for Wath Comprehensive School following it being put into special measures earlier this year. Schools which have improved how they work with children with additional needs held a celebratory event last week. A sponsor has been selected for Rotherham’s newest primary school – marking the next steps for the future of the prestigious multi-million pound Waverley development. Figures out today show the vast majority of children have been offered a place at their preferred primary school. Schools in Rotherham are blazing a trail after four were named as being in the top 10 per cent of schools nationally for excellent results. Falling numbers of childminders has prompted council leaders to start a recruitment campaign. What did the Romans ever do for us? Well they helped put Rotherham on the map, among other things, with early Roman and Iron Age settlements having been discovered in the district. The benefits of walking or cycling short distances, rather than driving, have been emphasised by local poet Ian McMillan to Rotherham school children. Rotherham is bucking the trend as a new report reveals hundreds of teenagers are in education or training for work in the borough. Schools in Rotherham are now above the national average across the board for GCSE performance, new leagues tables out today have confirmed. Marathon man Ray Matthews has handed over nearly £30,000 to a Rotherham special school after a six month long fundraising campaign. Over 150 new places are expected to be added to a popular Rotherham secondary school as part of wider £7 million growth plans across the borough. Rotherham primary school results are among the best in the region - a league table has revealed. Additional classrooms are to be added to a popular Rotherham school as part of plans to help reduce the number of pupils on the waiting list in the future. A once failing junior school is now one of Rotherham's best performing schools following a recent Government inspection. A dedicated group of young people who rate the services of Rotherham Council were honoured at a prestigious award ceremony last week. School children and Council leaders tucked into tasty dishes at a Rotherham primary this week to showcase the many meal choices now available. A Rotherham care home is celebrating after the Care Quality Commission (CQC) rated it Good in all areas. A Rotherham school has proved so popular with parents that it now needs to expand its intake. Red card to bullies in Rotherham. Go-getting grandad raises funds for Rotherham School. Inspections carried out by a team of young volunteers have started to show benefits and improvements at Rotherham Council. Hundreds of pupils across Rotherham have today scooped record A level results – as schools top last year’s performances. Hundreds of places are expected to be added to secondary schools across Rotherham in the next few years as part of £7 million growth plans. A brand new primary school is to be built in Rotherham. Two thousand visitors, 45 schools, 70 exhibitors - and a supersonic car - have helped the sixth Get Up To Speed festival to break records this year. A Rotherham primary school has been given a gold award for changes it’s made to how it works with children with additional needs. Thousands of primary pupils in Rotherham will be going to their preferred school this September – as admissions results reveal over a 97 percent success rate. Families who attend Maltby Crags Community School, recently lit up their local area with a lantern walk bringing communities of all ages together. Visitors to Clifton Park are invited to make a splash this Easter as the water park opens for the new season on Friday 25 March 2016. Ninety-nine per cent of school children in Rotherham have a better understanding of CSE after watching 'Chelsea's Choice'. Once again thousands of pupils across Rotherham are set to go to their preferred secondary school in September with 99 percent getting a school they want. People of all ages and all walks of life gathered in Rotherham last Wednesday to mark Holocaust Memorial Day 2016. The Young Inspectors are recruiting! Rotherham Council is placing young people at the heart of inspecting services delivered to children, young people and their families, and is looking for new recruits. A Rotherham children’s centre and nursery has become the first in the borough to achieve the highly-acclaimed Rotherham Charter Gold accreditation. Young people from across Rotherham have been getting involved in marking this year’s Holocaust Memorial Day. Do you like playing games, watching animations, using websites? Morrison, part of Mears Group, brought together local businesses and organisations to showcase employment and training opportunities in Rotherham. Two powerful theatre in education productions on the theme of child sexual exploitation are touring secondary schools across Rotherham. Schoolchildren from Rotherham put their communication skills to good use last week when they visited the Town Hall for a question and answer session in the Council Chamber. Rotherham’s first primary school to be built in 30 years has welcomed its first 70 pupils through its doors. Rotherham students are celebrating their GCSE results today (Thursday 20 August). Students across Rotherham have received their A-Level examination results today. Following on from an announcement earlier this year, Rotherham Council has agreed to end its Imagination Library book-gifting service which costs up to £400k a year to run. Over a hundred adult learners and their families attended an annual awards and celebration event at Rotherham Civic Theatre, with special guest presenter Howard Webb, MBE. The Rotherham Schools’ Youth Brass Band (RSYBB) topped the charts with a double-whammy win at this year’s Whiston Festival of Brass. A Rotherham special school facing closure earlier this year is now making real progress according to national inspectors. Building work is well under way on Rotherham's new primary school and parents are being reminded that applications for places can now be made. More Rotherham parents than ever are getting their children into primary schools of their choice this year. A new approach in the delivery of services provided by Rotherham's Children's Centres starts next month. Herringthorpe Athletics Stadium has been saved from closure after the Council identified budget savings to reinstate the facility from April 1. Over 4,000 young people in Rotherham have taken part in a survey that sheds light on their views and thoughts on a wide range of subjects that affect their lives. Impressive artwork from a Maltby primary school is being used to spread the environmental message round the town. Applications for places at a brand-new school in Rotherham are now being accepted. Rotherham is welcoming a new school this month with the opening of Lilly Hall Primary in Maltby. Rotherham students at the ready! A successful partnership between Parkgate Shopping, Rotherham Ready and Wingfield Academy is once again helping local young people to take their first steps onto the career ladder. Ofsted have officially given Rotherham Council’s Adult Community Learning team the thumbs up with a much-welcomed 'good' rating. Sitwell Infants School have lot to celebrate going in to the summer break after receiving an “outstanding” rating from Ofsted. Children, parents and staff from schools across the borough recently took part in a Rotherham Charter Gold celebration event at the New York Stadium. Mini-cyclists from Herringthorpe Junior School were hot on the heels of their official Tour de France counterparts during a recent pedal week challenge. A new short film by Yorkshire school children explaining the Tour de France and its visit to Yorkshire for the 2014 Grand Départ has been premiered at St Thomas CofE Primary School, Kilnhurst. Kids from a Rotherham primary school have joined forces with local councillors to help call time on foul play in their area. One young safety-conscious Rotherham resident has won big thanks to an innovative project which aims to save lives on the road. Schools across the borough are busy preparing for the introduction of free school meals for all young children. Consultation with local communities could lead to two more children's centres in Rotherham staying open following the 12 week consultation period that ended yesterday (Wednesday, April 30). Students from six Rotherham schools came together for a Model United Nations conference run by Schools Linking Network, a national charity focused on building community cohesion. The Mayor of Rotherham officially opened an extension to Aston Hall School on Friday (4 April). Children in Rotherham have made over 7,000 journeys to school on bikes and scooters in just two weeks, as part of an inter-school competition which encourages children to be more active. Get up to the minute information about the things that matter to you, straight to your email inbox by using our e-alerts. Rotherham youngsters tackle WEEE waste! Bright "green" sparks at two Rotherham schools have been rewarded for campaigns highlighting the importance of recycling old, unused or unloved electrical items. Youngsters with complex special needs going on to further education in Rotherham are to have a specialised service in the future. The next school holiday is Monday 18 February 2019 . Find a local children's centre for children under age five.